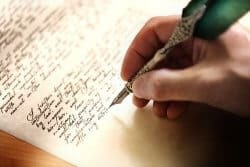 Writing a will is one of life’s very important and necessary arrangements. Yet, by nature of modern convenience, it is often neglected under the grounds of not being urgent and somewhat taking a backseat priority. Have you thought about where your assets will go when you die? Having to deal with the practical arrangements that will proceed your death is understandably unnerving especially whilst we appear fit, healthy and free from major ailment. In reality, your wishes in relation to who will receive assets like property, money and possessions must be formally notarised for them to be properly carried out. If you live on the Isle of Sheppey and are looking for will writing solicitors in Sheerness then you can rely Ratcliffes. Our quick and easy process comes at a fixed price, is uncomplicated, time-effective and will leave you with full peace of mind. The major benefit of using a solicitor to draft your will is that they will produce a document that accounts for every single asset you have and distributes it accordingly. In the age of the internet there are many different generic will templates available which are advertised as quick and easy solutions. 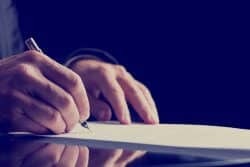 UK law stipulates that a will can be handwritten by the executor and requires the signature of two witnesses. Whilst this does technically make a will valid, templated text is not personalised to your situation, type of assets or location and could potentially leave parts of your estate unaccounted for. A good example of this is how some templates or DIY wills won’t account for instances in which the beneficiary may die before the executer. If such a scenario did occur then an estate could be distributed under UK law or even received by the government if there are no surviving relatives. Your death will bring about a time of emotional upheaval and stress for your family. They will most likely have to balance personal grief and the stress brought on by having to make life arrangements such as funerals, obtaining death certificates and obituaries. 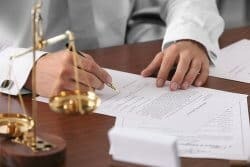 By employing a solicitor to write a professionally drafted will with airtight instructions and all eventualities accounted for, your family will be spared of the additional stress of having to think about what you would have wanted and sort it out amongst themselves. Not making a will of any kind will leave your estate with no legal directive or “intestate”. Under UK law unless specified by a legally valid will, all assets of the deceased will be divided equally amongst all children of the executor if the value of the estate exceeds £250,000. Whilst this does seem fair, it may not reflect your specific wishes. If you die with no children, the crown will receive the entirety of your estate. Using a solicitor gives you the chance to leave whatever you want to whoever you want in whatever quantity. Using an experienced and qualified solicitor to draft and store a will is a way to prevent family conflict and probate challenges further down the line. 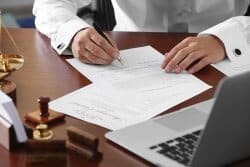 If we look at one of the most common grounds upon which probate is challenged, we can see that claims against the authenticity of an incorrectly drafted will account for a lot of cases. When such claims are put forward, families can be torn apart and plunged into bitter conflict from which they may never fully recover.